Earlier this week, Monroe County Technical Institute (MCTI) received a total of $42,835 in state funding from the Pennsylvania Department of Education (PDE). These funds will be used to purchase new and improved equipment for its precision machining, HVAC technology, plumbing technology, automotive technology and culinary arts programs. MCTI offers numerous career and trade programs that many students from Pleasant Valley, East Stroudsburg, Pocono Mountain and Stroudsburg school districts take advantage of to prepare for their future occupation. Our area is always in need of those trained in trade professions and these funds will allow MCTI to continue to provide the necessary machines and equipment that students will need to properly train in their field. Santa Claus is coming to the West End! 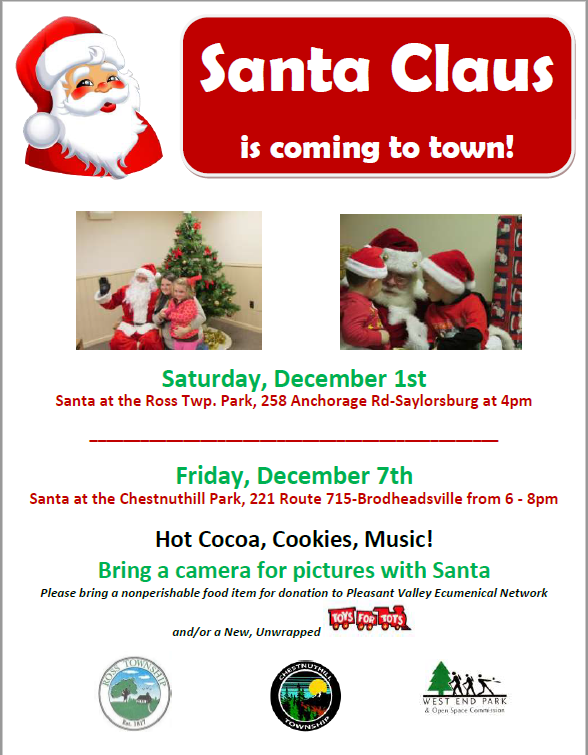 The West End Park & Open Space Commission is bringing Santa to the Chestnuthill Township Park, 221 Rt. 715, Brodheadsville, on Friday, Dec. 7, from 6-8 p.m. 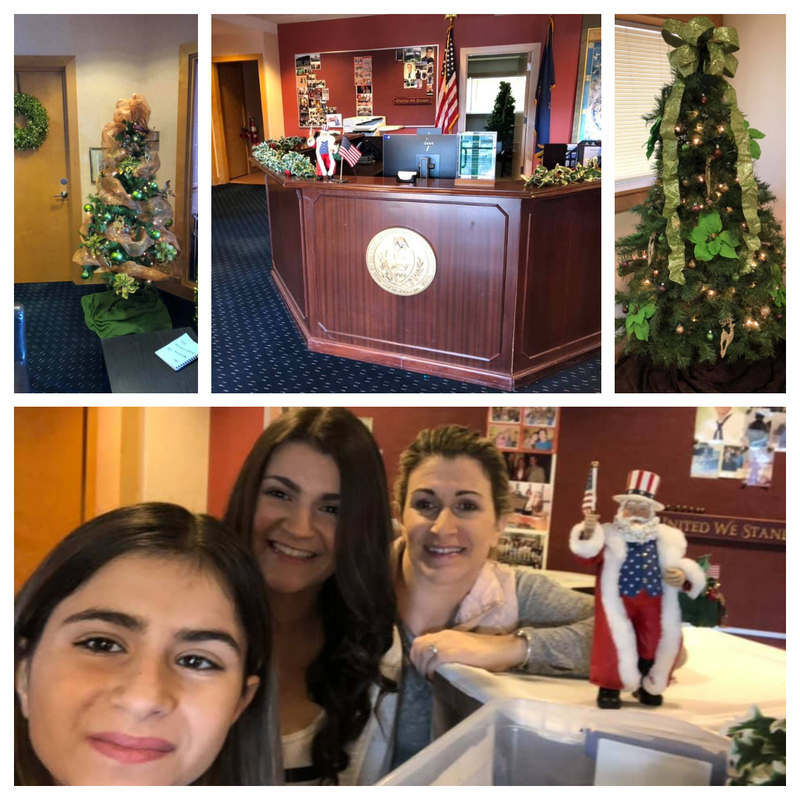 Thank you to my two elves who over last weekend helped me to decorate the office to give holiday cheer and blessings to all that visit during the holiday season. Once again this year, my office is a drop-off location for Toys for Tots. The box is located in the district office lobby and is accessible Monday – Friday from 9 a.m. to 5 p.m. Visit toysfortots.org for more information about the program and its impact. Every child deserves a little Christmas! 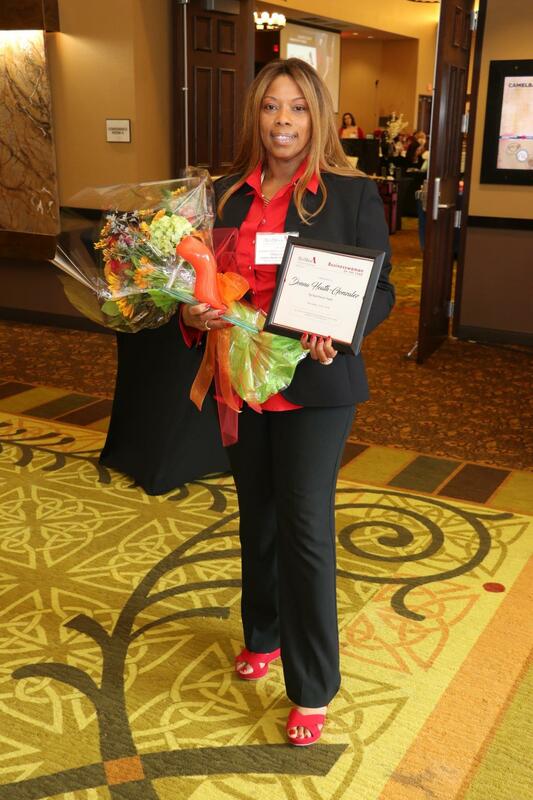 The 2018 Business Woman of the Year Award was presented to Donna Heath-Gonzalez of Monroe County on Nov. 2 at the BW NICE Red Shoe Luncheon held at the Camelback Resort. Donna is originally from the beautiful island of Jamaica, and has been a resident of Monroe County for the last 12 years. She opened Big Apple Beauty Supply in 2008 in Marshalls Creek and her second location in the Steamtown Mall in 2013. One of the many ways that Donna has chosen to give back to her community is by creating a new scholarship fund through her business. There are two $500 scholarships that will be awarded to two high school seniors graduating in spring 2019, and enrolled in a trade school or community college. Applications are open from Nov. 1, 2018, to Jan. 31, 2019. Scholarship applications are available online here. 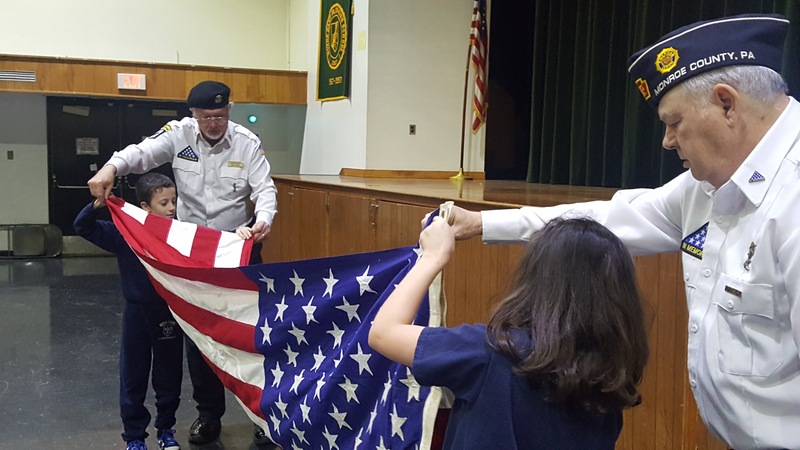 On Nov. 19, my office, along with the Monroe County Joint Honor Guard, helped organize a flag etiquette demonstration for the fourth, fifth and sixth-grade classes. Al Compoly and Charlie Hamburger from the Honor Guard lead the lesson. 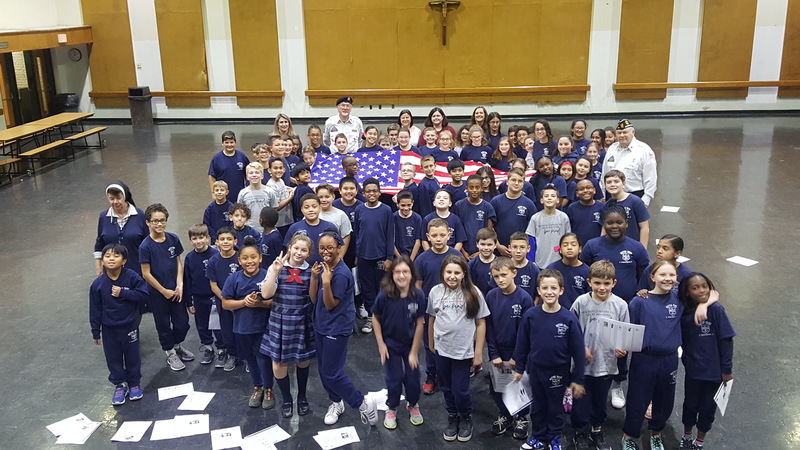 Students from Mrs. Eileen Hines-Wurz, Mrs. Julie Palestri and Mrs. Stacy Schnatter’s classes participated along with school Principle Sister Mary Alice. All of the participants are pictured above. Thank you to our veterans Al and Charlie! This week, Department of Human Services (DHS) Secretary Teresa Miller reminded Pennsylvanians that the Low-Income Home Energy Assistance Program (LIHEAP) application period for the 2018-19 LIHEAP season is still open. Pennsylvanians who used LIHEAP during the 2017-18 season and who received a pre-season application or green postcard may use a simplified application via the myCOMPASS PA app. LIHEAP provides assistance for home heating bills to keep Pennsylvanians with lower incomes warm and safe during the winter months. Assistance is available for renters and homeowners. DHS began accepting crisis and regular LIHEAP applications on Thursday, Nov. 1, and will continue accepting applications through April 12, 2019. Returning LIHEAP customers from the 2017-18 LIHEAP season are also able to apply through the myCOMPASS PA app available on the Apple App Store or Google Play. Returning customers should have received a green postcard with an access code to apply via the app. LIHEAP Cash is a one-time payment made directly to utility companies or fuel providers to help offset winter heating costs. The average cash benefit this season is $262. Pennsylvanians may request LIHEAP Crisis assistance for home-heating emergencies when their household is without heat or in danger of being without heat. The average crisis benefit for this season is $404. More than 120,000 LIHEAP Cash and LIHEAP Crisis applications have been approved thus far. On Oct. 24, the LIHEAP Turn-On Supplement prevented 16,547 homes from having their utilities turned off. The Turn-On Supplement paid $4,732,471 to 19 utility companies in the commonwealth to prevent utility shut-offs for individuals who received LIHEAP during the 2017-18 season, and had a threat of a shut-off or had their utilities shut off. The program’s goal is to prevent LIHEAP customers from entering the winter season with shut-off utilities. If you received LIHEAP during the 2017-2018 season, there may be funds available for you in addition to LIHEAP Cash and Crisis assistance to halt a shutoff or shutoff notice. Applicants should talk to their caseworker about what help they may be able to receive. In addition to financial assistance, eligible customers may also be able to receive LIHEAP support for emergencies due to broken or faulty heating units, fuel lines, windows, or pipes. Should any of those emergencies occur, customers can contact their caseworker to see if the unit can be repaired or replaced through LIHEAP’s Crisis Interface Program. Online applications for LIHEAP can be completed at compass.state.pa.us or on the myCOMPASS PA mobile app if you received LIHEAP during the 2017-18 season. Paper applications are available through local county assistance offices, or interested applicants can download and print an application from the department’s website. For helpful tips on keeping warm throughout the winter while saving money on utility costs, visit energysavers.gov. A complimentary dinner will be provided by The Shawnee Inn and Golf Resort for local individuals and families in need. 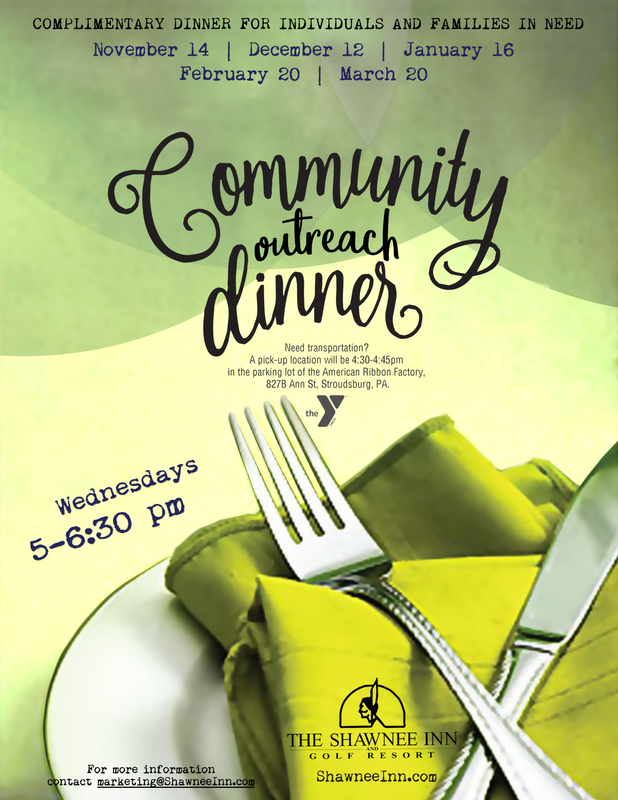 These community outreach dinners will be held on Dec. 12, Jan. 16, Feb. 20 and March 20, from 5-6:30 p.m.
Should you need transportation to any of these dates, a pick-up station will be set up in the parking lot of the American Ribbon Factory, 8278 Ann St., Stroudsburg, from 4:30-4:45 p.m.
Act 100 of 2018 increases the NAP’s funding from $18 million to $36 million and marks the first-time allocated funding for the program has been increased since its inception more than 50 years ago. A recent report from the state’s Independent Fiscal Office indicated that in Fiscal Year 2015-16, the NAP’s $17.9 million in tax credits resulted in a total economic impact of $138.1 million.